I had a lot of comments on my last post about my vintage brownie camera. Mine is the hawkeye model which was made between 1949 and 1961. Can you believe it originally sold for $5.50? I bought it on ebay a few weeks ago for only $14 including shipping. There are lots of vintage cameras listed for very low amounts. They make fun props and it’s quite interesting to be able to hold one and figure out how it worked! Hmm...looks complicated? I may have to look for one of those. I love it : ) I think that would be a super fun thing to have. I am glad you got it : ) I know you will do lots of fun things with it! Oh wow...how neat!!! Love it. I have one like that too - I just wish I knew how to use it! I love old cameras. My father has a vast collection... Fun shots of your son! So gorgeous - seems you're not the only one to have fun with that camera ;-) I'm looking forward to seeing more of it! I've often wondered about starting a vintage camera collection but always figured it'd be too much money. I never imagined I could get some for under $20! Great shots. I can see the wheels turning in his head trying to figure out how it works. Luuuuuv the Brownie's. Does it actually work or is this going to be mostly for props? Fun! I've been thinking about looking into these. I'm glad you mentioned using them as props. I kept thinking if I got one would I would have to actually use it or something, and that was just too much pressure. Now that you've relieved me of that stress, I am going to go check out Ebay for sure! My DIL has one quite like yours that she bought on Etsy. She loves hers, too. 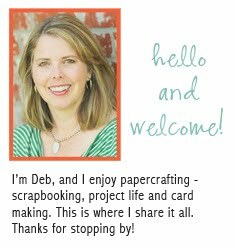 How fun Deb- Love that you did a post on it!!! Sorry for the deleted comment. I hit post too quickly. So cool. I've looked everywhere locally to find one. Now it's time to shop online. Really great shots! I know nothing about vintage cameras, but yours looks pretty cool!! I have a brownie setting on one of the apps on my droid phone! ;-) Interesting to see what made them unique, and I agree they make fun props! Deb your photos are always so awesome! I love your little brownie. I have a collection I inherited from my step dad which include some from WWI. I really need to get them out for prop use and display. You have inspired me! ok, now you make me want a vintage camera too! That's sooo cool! So does it really work? I have to say, I want one too. What a fun find! that is neat i do want one, neat you can get them off ebay! today ebay will have an influx of people searching for a brownie camera. These are awesome! I have a Brownie too but I think it's a bit older than that. You have inspired me to learn more about it. Thank you! And just in case you are interested, I'm hosting a new linkie at my site called Fabulous Friday. I'd love it if you would participate!